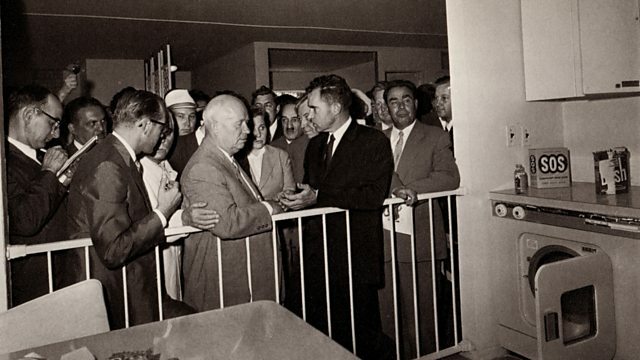 US Vice President Richard Nixon and Soviet leader Nikita Khrushchev had an argument about living standards when Nixon visited Moscow in 1959. US Vice President Richard Nixon and Soviet leader Nikita Khrushchev had an argument about living standards when Nixon visited Moscow in 1959. They spoke at an exhibition of a 'typical' American house full of modern domestic appliances.